Why not learn french with the help of video games ? Kid of the 80-90s, I grew up with the rising success of personal computers and video games in general. So, very early, I was in contact with this support, and its many forms, since video games, not unlike cinema or literature, cover very different genres ! 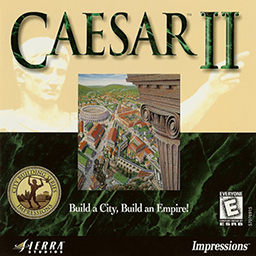 With strategy games such as Age of Empires, Civilization or Caesar, I have then developed my passion for history, and with adventure games (but not only!) in English or French, I could teach myself a foreign language and work on my general knowledge. If, of course, all games are not suitable in the same way to learn, today, as a teacher, I can only recommend video games as a part of the education of each and everyone ! That, and even more so since nowadays, E-learning and Serious Games are no laughing matters, but truely legitimate alternatives to more classic ways of teaching, and that, in many different topics, French language included ! Numerous teaching methods using multiple media already exist. What professor would go without the use of music, videos, or even traditional games (plates, maps, activities …) nowadays ? Well, video games often merges all these media into one, therefore, it would be a shame not to use this tool too ! By mixing voice, texts, videos, etc … video games allow students to work both written and oral comprehension, then it is just the teacher’s job to use this format as a basis for the otherwise irreplaceable written or oral expression exercises. What are the other benefits of learning through video games ? First of all, it is difficult to find a media more didactic or attractive to “millenials” students than video games are. If educational games have been around for a long time now, with titles such as Carmen San Diego or the Pink Panther, today, countless independent and free games are available, treating almost every conceivable subject, whether they are meant to directly serve an educational purpose or not. Beyond the transmission of knowledge, the video game can stimulate many other abilities, such as concentration, attention, memory, logic, or even reflexes. It is thus possible largely to the work of the various students of all ages skills. Also, video games operate on a logic of completing missions based on the use of logic and the fulfillment of objectives, so not only are they motivating and catchy, but they also allow students to become familiar with instructions. Also, increasingly, we are dealing with content where the story and the characters are well developed, with real narrative systems and scenarios worthy of the best novels. Thus, it adjusts the child to follow several characters and intrigues at once, and can develop their imagination. Finally, video games can also be an opportunity for young people to discover their vocation. 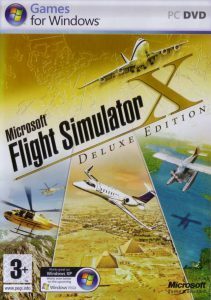 With the growing number of simulators of all kinds, it is now possible to become familiar with the world of very demanding professions such as airline pilot, farmer, surgeon and many others, not to mention the countless music and arts games and applications for the most creative kids ! So, what contents to use for French ? First, why not make French the default language of your games, since today, most of the titles are translated, be it voices, or more frequently, texts and subtitles ? 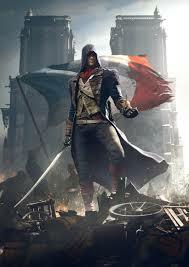 And why not learn more about the French History and play as a soldier during the days of the Normandy landings in “Call of Duty”, relive the revolutionary period with “Assassin’s Creed Unity”, become a resistant in “The Saboteur”, or inquire in Paris on the order of the Templars in “Les Chevaliers de Baphomet” ? Admittedly aging but still exciting games, you can also try your luck with the challenging Points’n’Clicks of the Versailles series : “Conspiracy in the court of the Sun King” and “The Testament” to immerge yourself in the scenery of the XVIIth century and walk amongst the historical figures of the world renowned French castle. You will find on this blog lots of ideas and comments on what games you should use, along with a detailed description of holding sessions and the target level of French. Thanks a lot for talking about my work. I just discover your site and it seems great. Continue this way. How to Learn a Foreign Language ?